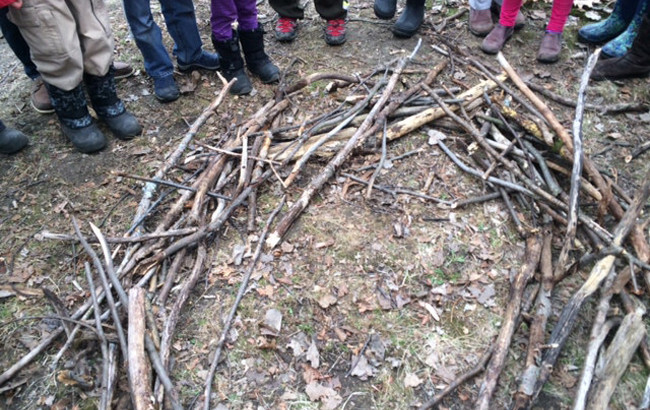 A group of five year olds gather sticks in the woods in one of Burlington’s City Forests, together they are building shelters. While other children across the city are playing video games, these children are experiencing Natural World Wednesdays with Yvette Mason, Recreation Specialist with Burlington Parks and Recreation. Yvette participated in a Project Learning Tree workshop at the Vermont Parks and Recreation Association Conference in 2011 and since then she has been incorporating PLT activities into her recreation programs in Vermont’s largest city. “Children are more engaged in activities and work better together when we are spending time in the woods.” said Yvette after another successful after school session in her favorite patch of woods. Yvette uses PLT with her summer programming and well as a special Earth Day—Tree Day celebration in April. PLT is a good tool to use in traditional classroom settings as well as nontraditional ones and helps reach children in new and creative ways.